Most web writers will get questioned about their price at least once, but usually quite often. Who doesn't like a bargain? But your writing's worth is dependent upon what you make it. Here's why. It's fine to have sales or deals for new or regular clients. But you still should keep the worth of your writing in mind. The lower you are willing to go, the less valuable people will see your content as being. Give discounts, but don't go so low that it's not worth both your time, as well as the value the client will get from it. Quality web writing is getting more difficult to find. More and more people are discovering they can put their words online. This is a good thing, as far as communication. But those looking up specific information need accuracy and quality. This is where you come in as a web writer and prove to your client that your work is worth top dollar. Sometimes it takes that client paying a low quality writer less and finding out the hard way that they should have continued coming to you. I’ve had clients return after doing this more than once. It’s like the old saying goes “You get what you pay for.” Some people charge less than they’re worth, but in many cases, quality writing will cost more because of the time and energy put into creating a quality piece. Get Quality Content for Your Site! Remember that business owners talk to each other often. This includes many topics, but who they hire for writing and other services essential to success is very common. If you charge one client a fee that is significantly less than you usually charge, other business owners will learn this and expect the same deal. The reason for the deal often doesn’t matter. Keep things consistent and accurate where your prices are concerned. You want the word to get around regarding your quality, instead of your low price. The lower your price, the less value is likely to be given to your content. Remember that word gets around. So, whatever one business owner feels it’s worth may be what others are saying as well. In order to keep your value high, you need to keep your quality high and price your work accordingly and consistently. Obviously, there is some customizing involved in most web projects, based on topic matter, research, word count, and so on. But try to be as consistent as possible and consider the value of your time, as well as what the client will potentially get from said work. Your work is worth what you make it worth. So, be sure to price it accordingly, limit the bargaining to a reasonable point, and show your clients what your worth via quality. Many factors go into determining work and payments from business owners and other clients. These can differ depending on several things. While following this guide may not guarantee that you will receive more work with higher payments, you may see greater opportunities by adhering to the following suggestions. The key is not necessarily to increase every single payment, but to maximize the opportunities available, as well as maximize your long-term benefits from said work. What types of content are eligible for payment? All of it! Whether you are soliciting jokes, articles, blog posts, recipes, web page content, product descriptions, photography, or any other creation, it deserves payment if it’s quality material. The key is to submit to the most appropriate venue for best results. When you have a tight focus on one topic, readers are more likely to be looking for your content. Think about the things you look for when searching online. For instance, instead of general tips on pet adoption, you may want something geared specifically toward the pet you are considering adopting. “Where to adopt a poodle in Denver” should perform better than “How to adopt a pet,” as an example. Write your articles on specific subjects that will be relevant and useful to readers looking for that topic. If you are hired for an assignment, be sure you follow the exact instructions. That means if the instructions say something different from any advice herein, defer to the assignment. When editors and business owners see that you can follow all assignment details reliably, they may be more likely to offer you future opportunities. Remember that, while you should be creative, the content you’re creating is not for you. It’s for the person you are creating it for. Therefore, it should be the way they want it. It’s good to suggest corrections of facts that might be wrong or improvements that might help the client or their website. But again, if they do not agree, unless you are breaking the law or doing something you are strongly against, just do things the way the client wants. When you need to back up your content with facts, be sure these facts are from reliable sources. Also, make sure to cite those sources properly, according to submission guidelines and any additional assignment guidelines. Using multiple highly-trusted and relevant sources also helps to build credibility. Wherever possible, use sources from your client’s website, in addition to the others. This helps them build more relevant inbound linking. When client chooses to hire an expert, they expect expert material. If you are submitting to a new client, study the website you are interested in writing for. Think of topics that could work well there but are not yet covered. Having an idea of what could potentially align with a particular property can give you a greater chance at getting accepted. Being unique is key. That means that you don't want to submit something you already see covered on the property. Instead, try submitting something that works well alongside existing content, provides a new angle, or has not been covered at all but could appeal to that property's audience. Are you writing about parenting? What stages? Think of the age of the kids you're writing about - and then think of what ages the parents are likely to be; they are your most likely audience, and you should cater your content to them. The tone and style used in your article should be something readers can identify with. For instance, if you are writing an article for kids, using complicated business terms is not going to keep them reading. Acceptances of paid submissions are more likely on content that shows attention to detail in this and other areas. When you write an article or blog post, readers should see the real person behind the story (unless your client is not interested in first-person accounts). At the same time, you don't want to ramble about something that has nothing to do with the subject matter. Find that perfect level at which the article provides the information needed with relevant personalization where it fits in with the main point of the article. For instance, if I'm writing an article about picking the perfect daisies, instead of telling a long story about a time when I picked daisies, I would mention how I determine which daisies to pick. I would do that in a way that readers can tell I am knowledgeable and passionate. But it would also need to be something readers can benefit from to answer their questions. When you can use your own unique experience and style, readers can relate more easily. But at the same time, you don't want to say so much that they get bored and click away. Focusing on evergreen material is one way to maximize your earnings, as most business owners can use long-lasting content. Evergreen content is that which will draw a reader's interest for long periods of time, such as unique ways to solve common parenting issues. Evergreen slants can also be applied to trending topics. Some editors may value those topics that have a longer shelf life. This is not to say that other content will not be valued, as articles with a shorter shelf life can be useful as well. They each have their own place and are both great ways to maximize your work in different ways. Getting the most out of paid opportunities often involves taking advantage of more than one way to earn. Category and vertical style guides are used for many assignments that offer pay. For the best chances at getting those assignments accepted, be sure to follow them closely. This also goes for any and all other instructions mentioned within the assignment details. Proofreading, even after using spelling and grammar checkers, has always been a lifesaver for me when writing for any venue. Yes, I am a great editor. But, I am also human, so it’s best to double and triple check. Read silently, out loud, and even have a writing buddy take a gander. Programs can miss little things, such as skipped words or typos that are actual words, but not words you intended to use. Studying The Yahoo! Style Guide is a great way to learn basic html, grammar, editing, formatting, and style as it all pertains to writing for the Web. Most content that is submitted to potential clients must be publish-ready. While some venues may have an editor, never rely on editors to fix poor writing. If your writing needs to be thoroughly edited, it is much better to study up so that your submissions are more likely to get acceptances than rejections. You can then submit at a later date when your skills allow you to submit content that is more in line with the platform's needs. Good Web content displays certain qualities. Apart from being interesting, it must be easy for a wide audience to read. It also must be easily found by search engines. Keep your articles concise and informative in an easy-to-scan format. Web readers often look for something that answers their question quickly and accurately in an engaging manner. For more on writing for the web, again, The Yahoo Style Guide is an invaluable resource. Maximizing payments on your content is about taking advantage of the many ways to earn. It's also about covering your bases all-around. A solid article is not just well written, but also speaks to the intended audience, giving them exactly the information they expected and needed in a clean, easy-to-scan format. If you are in a bind and need to get large amounts of articles done quickly, what do you do? Perhaps this is a common thing for you and perhaps it is not. There are various things a writer can do when large numbers of articles need to be written quickly. Sort by topic, rather than client. If some of your article topics are similar, write those sequentially or at the same time. Save them to separate folders for each client so you don't lose track. But you can do articles for various clients all at once. This is especially helpful if their deadlines are the same or close. Do all your research first. Research your topics before writing. This makes it easier to just sit down and write. You get bonus points if you took notes in your article document during research. Medical info and other extensive topics can require a good amount of research for accuracy. Bullet point what you discover under subheadings. Then, when you write the article, you only need to turn those points into sentences. Group by article type. If you have several list-type articles to do, it can help to do those first. Those may be easier than other formats. Articles with bullet or numbered points can go quickly as well. You also may wish to group them according to word count. When large numbers of articles are due quickly, it's a better strategy to get all the easiest ones out of the way first. This way, if you do fall behind your goal, it happens with less articles. Write intros and subheadings first. Go through all your article files ahead of time and write all the intro paragraphs and subheadings. This way, you can run through and fill them in faster. If you already have the subheadings labeled, you pretty much know the points you need to make. You then only need to figure out how you're going to say it. This speeds productivity trick. I've written an article with this type of pre-outline in less than 3 minutes. Write what you know. If the topics are up to you, avoid too much extra research and just write about what you already know. When writing topics you have firsthand knowledge of, it's easy to just spout off info quickly. This is extremely beneficial if you're also a fast typist. It may take a touch longer if you aren't, but it should still help considerably, compared to articles that require extensive research. Online article writers serious about their writing must remember the purpose of our content is to provide someone else with the information they need. Even when the writing goes to a client that will not return any page view or click revenue, remember that their audience still needs accurate and relevant info as well. Ultimately, someone will be reading the finished content. Here are five ways online article writers can get and keep clients. I know I must sound like a broken record to regular readers, I mention SEO so often. There's a reason for that. SEO skills are an absolute must if you are serious about making money as an online article writer. The main purpose clients purchase web content is to draw traffic where it's placed. If your articles do not have proper SEO, clients will look elsewhere to meet their content needs. If you often lose out on higher paying clients, gigs, and assignments, SEO skills may be to blame. If so, get and keep clients by reading up on SEO and implementing it into your work. Some online article writers make the mistake of putting less effort into lower-paying gigs than they would with others. This makes no sense. First, this shows a lack of pride in one's own work. Secondly, your name or pen name will be attached to everything you write. Do you really want potential clients to read one of those lesser-effort articles? Would someone want to hire you after reading them? Online article writers are lucky in that many of us enjoy doing this for a living. Plus, we can make money writing articles from anywhere we prefer - even at the beach. However, that doesn't mean that we shouldn't maintain consistency and professionalism. Putting effort into each and every piece of content you produce gives you better odds of being noticed and appreciated by clients. When a client gives out an assignment, there are times where you may feel the topic is too broad for their audience. To solve this, write on the topic the client has assigned you, but choose a unique slant. Most will likely appreciate the extra effort. For instance, if the client asks you to write about bathrooms for seniors, you could write about eco-friendly bathrooms for seniors. Go for an angle that isn't saturated all over the web. Some clients might need reasoning behind your changes, but in my experience, most understood when I explained about topic saturation. I rarely receive rejections on my work. Sometimes clients will reward the extra effort with extra money or be appreciative enough to buy more content. Even so, don't get upset with those who don't seem appreciative. Just make any revisions and move on. That's another way to keep clients. Setting up and maintaining an updated and professional website is an absolute must for online article writers for hire. A website will give you a place to share writing samples and a background on yourself and your writing skills. Have a contact form on your website as well as an alternate email in case the form experiences a glitch. Potential clients may like something they see on your site and bookmark it for later if they aren't yet ready to purchase content. Keep the website updated with current information so that people will want to continue visiting. Maintain a blog with writing tips and business updates. 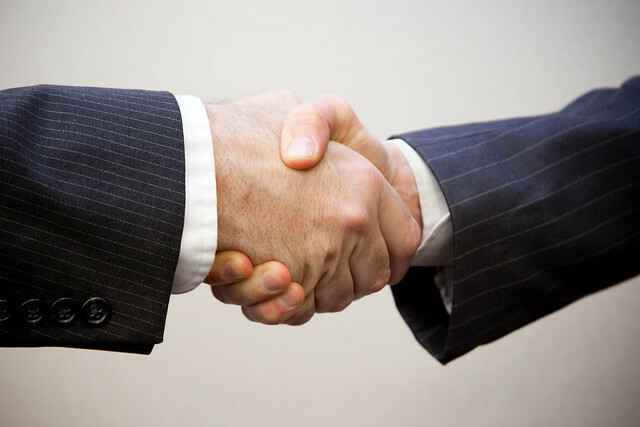 Get and keep clients by referring them to your website for business, rather than an email address. This is an important way to establish your personal brand as a freelance writer. Learning and growing is a big part of being successful in an online writing career. Things change so rapidly that it's important to stay connected with other writers to learn and grow together from each other. Just because you've been writing for years does not mean you know everything there is to know. While you may have expertise on one aspect of writing, another writer may be an expert in a different area. Get and keep clients by networking with other writers to share and discuss knowledge. This will keep you up to date in the online writing field. Plus, it can be a great deal of fun. When freelancing for a living, a business website to refer clients to is a must. This is a simple and professional way to let clients know what services and expertise you can provide. But what information is essential to share? As one who has been freelancing for years, here are 8 things I feel are absolute musts on a freelance web writer's website. A bio describing some of your experiences, interests, and areas of expertise should be included in a prominent area. This lets potential clients know exactly what you are all about. You want them to know this because it helps them decide if you may be what they are looking for. Would you rather hire a construction contractor who was upfront with their skills and experience or one who simply stated he was a contractor with no additional information? Freelance writing is no different. Experience is touched on briefly above, but you may be wondering what to include. Experience can refer to degrees and it also can refer to work or research that you've done. For instance, are there special clients or media agencies you have worked for? Do you have a degree that contributes to what you produce as a freelance writer? How many years have you been freelancing? These are just some of the things you can discuss on your website. Potential clients will need to see what type of work you are capable of. It also is a good way to show your professionalism and skills to more people. You can still email samples to potential clients, but it will be much easier for both of you (and provide a wider reach) if you make these easily available on your website. Some may choose to display these as files that can be downloaded. Others may choose to link to work they've done around the web for various clients and content sites like Associated Content. A contact form is an easy way for potential clients, as well as readers, to communicate with you. These are easy to set up and can be customized to fit your purpose. These forms will forward directly to your email address. It makes contacting a simple and quick process for those who visit your website. They also can help to cut down on spam requests, as many can be customized to track IP addresses, ask for a captcha code, and other preventative measures. This is where you can engage and interact with your audience. It's where you can talk about different aspects of the writing business, give writing tips, and also give updates on your business ventures. Don't be afraid to add some fun things in every now and then. Who you went out with last night and what you did may not be a good topic for a blog on your business website, but adding an appropriate personal touch is good. It helps followers and potential clients connect with you. Freelance web writers should always have a way for their audience to stay updated on their work. RSS feeds and email subscriptions can be extremely helpful here. Some content sites that freelancers may write for already have RSS feeds available to the writer. These can be placed in widgets that allow readers to view or subscribe to the content via email or feed readers. Each time a piece of content is published to the feed, those who are subscribed will be updated. Making this available on your website can be helpful in building a following. If you are using social media (Twitter, Facebook, LinkedIn, etc) to increase your online presence or to make connections in the writing world, place those links on your business website. This will help people connect with you around the web and can be useful in creating a following. Not everyone is comfortable with every form of communication. Social media helps create a variety of ways to connect with your readership. Every freelance web writer should have some form of interaction on their website. RSS, blogs, and social media links are a few ways people can interact with you and the site. You may also want to have an advice page where readers can use a simple contact form to put in suggestions or ask advice that you can answer in upcoming articles. A forum is also a good source of interaction, but only create one if you have time to keep up with it. The main point is to have some way that readers can interact with you and/or your website. This will keep people coming back. As a long-time web writer who now also helps fellow writers succeed, people often ask me how to make more money. What are the best ways to succeed in web writing and how does one apply them for the maximum reward? Maximize your content. Keep the rights to your content as often as possible and re-purpose it when you can. Many publications will accept non-exclusive work, which means you can do the work once and get paid for it repeatedly. Just be sure that the information stays up to date and syncs well with each publication it's submitted to. Even if you have ti make a few changes now and then, it will be easier than writing new content every time. While new content has its place as well, there's no reason you can't re-purpose existing content when appropriate. Be flexible. We all have our own habits and methods. However, sometimes it pays to bend personal rules if it makes a client happy to do so. You of course want to always let a client know when you feel what they want isn't what's best for them. However, you should also be flexible in some of the ways you work so that may better provide the service in the way clients expect. They each will expect something different. Therefore, it pays to listen, keep an open mind, and be able to adapt to varying situations. Meet or exceed deadlines and expectations. Happy clients will often be repeat customers, which means there will be more money lining your pockets (or your PayPal funds). A big part of keeping clients happy is meeting the deadlines and guidelines laid out in the contract. When you can do this every time -- and exceed expectations when possible, clients are more likely to use you again or even recommend you to others. Just like any other business, word of mouth can be paramount to making more money in web writing. Spread your talent. Some people will be content with just one client. I've been there before. However, no matter how well one client pays, it's always good to have more than one. That way, if something happens unexpectedly, you don't lose all of your income. Keeping a variety of clients also provides more experience writing upon request in varying styles and topics. All web writers need a website. I've said this many times before. But I will say it again and again. All writers need a website. Your website is where clients can find more about what you do and contact you for services. A good writer's website should include at the bare minimum a contact form, an online resume, samples, and a blog. For more on what to include, please read "8 Musts on a Freelance Writer's Website." If you use your site correctly, you'll be making more money just by having an easy way for clients to interact with you. Maintain a blog on your professional website. As mentioned above, a blog is an essential part of a writer's website. In addition to helping fellow web writers succeed, keeping an active blog helps showcase what you can do to clients, which can lead to more money. Some things successful web writers can blog about include writing tips, marketing tips, information for clients, book releases, tour/book signing dates, events, and special features of your work. The possibilities are endless. Just keep it active and keep it relevant. The more you blog, the more traffic your site will get if you do it right. This can lead to more clients. Active writers generally make more money than those who are simply waiting around without action. Part of succeeding in your web writing career is knowing when a potential client is one you should avoid. There are many scammers out there. You need to know how to protect yourself. As a long-time career freelance writer, I’ve picked up a great deal of experience on sorting out the legitimate clients from the scams. Ask for a percentage of pay upfront. This is extremely important to making sure that you get compensated for every piece of content you produce. I generally ask for half of the pay before starting the work and the other half when I complete the project. This is protection both for myself and for the client. If a client decides to stiff me, at least they have paid me something. Also, it helps reassure the client, knowing that they do not have to pay the full amount until I finish the writing. You’ll often see ads or websites claiming that if you purchase a service or product, they’ll give you work. The majority of these are scams . Unless it is a legitimate contracting service, and sometimes not even then, it is best not to pay anyone for work. There is plenty of work out there and you are the one providing the service. You should be the one getting paid. Get all project and payment details in writing. Before you even begin the work, discuss the details with the potential client. Then, create a contract and make sure you both agree to it. Even if you are not familiar with professional contracts, this is still possible. As long as all the terms are laid out and parties are documented agreeing to it, that will be enough for a legal agreement. Watch out for fancy calls to action. This is a common pitfall for potential writers and others looking for work at home positions. Usually, if you see something that uses terms like “get rich quick,” “easy money fast,” “Sign up and get paid today,” and the like, run far, far away. There are cases in which people may use similar terms for legitimate offers. But most of the time, that is not the case. Know where and how your content will be used. This is very important. There are people out there who will pay another writer to do something that is legally supposed to be written by them. Many content sites require the writing to be 100% created by the person who is submitting it. Never produce work for someone if it is going to a place like this or if you don’t know what they will be doing with it. Otherwise, you could unknowingly be part of a scam. This goes back to the contract issue. Make sure the contract includes what will be done with your writing. This way, if the other person does something illegal with it without your knowledge, it is documented that you sold the content for other reasons. While it’s true that writing often can lead to a successful web writing career, that isn’t the only way to success. In fact, your business strategy should involve more than being productive. You should also know how to make the most of your existing content. As a career freelance writer and advocate to fellow web writers, I have years of experience doing just that. Submit non-exclusive work as often as possible. The more rights to your content that you can keep, the better. While exclusive pieces can sometimes net you more upfront, you won’t always make the most from exclusive work in that piece’s lifetime. If done right, evergreen (ever-relevant) non-exclusive work can net you more over time. Save all of your work in more than one place. Always have more than one copy of everything you write. For instance, if you save it in an online word/drive program (like Google Drive), make sure you also save it to your computer and also to a flash drive. This ensures that if something happens in one of those places, you’ll still have your work stored in another place. It never hurts to over-store your writing. But it can often hurt to under-store it. Just because one thing is reliable does not mean it always will be. At the very least, have your work stored in two places. But I recommend more, if possible. Re-use your non-exclusive submissions whenever possible. The reason you want to submit your work as non-exclusive wherever possible is so that you can re-use that writing elsewhere. Many venues will accept work that has been previously published. This means that you can get more use out of one piece of content than if you had originally submitted it as exclusive. In fact, you can republish that content as many times as you wish if it isn’t exclusive to a particular venue or individual. Keep your published content updated. Generally, when you post content online, most of the time you’ll have access to keep it updated. This way, its “shelf-life” is longer. Links and information can get outdated. If you always keep your content as up-to-date as possible, readers will trust your work and you’ll be able to direct people to your content for longer periods of time. Many online venues pay per view. No one wants to look at stale content. But if your content stays updated, you can continue to promote it and keep people interested long after its original publication date. Reference and promote your existing content often. Don’t forget to link to existing content that is relevant to new things you publish. Also, when promoting new content, always remember to cycle promotion of your existing content as well. This keeps attention on your content for longer periods of time, which means more views and usually more money. People often say “Work smarter, not harder”. I say “Work both smart and hard for the best results”. You still have to write often to keep people interested. But making the most of your existing work will help you earn more from each piece of web writing you produce. Most who know me will know that I spend a considerable amount of time utilizing social media. I still will. It’s essential to the work I do and is a significant method for keeping in touch with those I care about. However, starting tonight, I’ve decided to go about it in a different way. I’m minimizing my mobile notifications for Facebook and Twitter – specifically, the SMS (text) ones… and yes, I can feel the shock coursing through the veins of anyone who knows me personally, as they read that statement. Why the heck am I getting both text alerts and push notifications for the same exact things on Facebook? I receive several types of push notifications. Two of those include email and Facebook – and I get Facebook alerts in my email too. This means I am getting three notifications for the same updates (email, Facebook app, and SMS). Why? This is a bit excessive. At first, it was a precaution to be sure I don’t miss anything important. However, there hasn’t yet been a time when any of those methods has failed. Besides, with push notifications coming directly from the Facebook app, SMS is actually quite outdated, not to mention unnecessary. Why would I choose text alerts when the push notifications get me directly to the update in the Facebook app? The text notification leads to the mobile web version of Facebook, which is not how I prefer to access Facebook. I prefer the app because the features are better and it loads faster. My poor loved ones have to hear the constant annoyance that is my text alert going off literally every second sometimes. This is ridiculous and I’m putting an end to it. In fact, it’s even starting to annoy me and I’m the one who set it up that way. Yes, some of the notifications are important – some. But as I mentioned above, I’m already getting them via my mobile device in other ways. So the SMS is really just an unnecessary annoyance and distraction. Text messages that happen all the time are not cool and neither are those that wake people up in the middle of the night, unless they are an emergency. I don’t need to receive a text message every time a friend or business updates their status on Facebook or tweets on Twitter. I check those that matter via apps or my laptop anyhow. Seeing them more than once is annoying and takes time away from more important things. I am a mother first before anything and these notifications can be a distraction. I’m not the type to ignore my kids. But glancing at my phone less is something they’ll likely appreciate. The same could be said for my lover, friends, and other family. I’m sure everyone in my life wouldbe very happy if there were fewer reasons for me to glance at my phone during fun activities. I still get things done and if you ask any of them, they’ll tell you I’m very loving and attentive. However, it’s just the principle of the matter. I added so many notifications to increase productivity. Those who know me will also know that I am extremely productive. They’ll probably also be shocked if I can increase that and wonder how I can do that with fewer notifications. If you remember what I said above, you’ll remember that I am getting the same notifications more than once. Therefore, this should actually save me some time. If I’m being honest, I actually don’t look at every notification. However, I do sometimes look at the same ones in more than one place. So taking these away will end that possibility. More notifications equal less battery juice. The whole point of a cell phone is having it available for use at any time. That becomes less possible if I am on the go and for some reason am unable to charge my phone for a lengthy time period. My cell phone battery often dies quickly because I have so many notifications coming in every direction. Cutting off most of the SMS alerts will help remedy a great deal of that issue. Twitter and Facebook notifications come to my phone so often that if I stop receiving text alerts for even five minutes, I know that my phone is having issues and I need to restart it. It’s cool to have that indicator, but at the same time, that’s just too much. In addition to reasons stated above, I need my cell phone to keep its juice. Because some people do rely on me for emergency situations, certain alerts will still come to me via SMS. However, most will not. For instance, Twitter DMs will stay for people I follow back because those people rarely DM me unless it’s important and about work. I need those SMS notifications, as I do not receive push notifications for anything Twitter-related. But Twitter notifications for specific people and companies will likely go away. I really don’t need to know every time every entity I follow posts to Twitter. But I do need to know when someone needs assistance. In short, I’m cutting off many of my mobile notifications for family, life, and business purposes. Therefore, if you notice me slowing down on responding to less important things, that could be part of it. I love all of my friends on both sites. But there’s a point where too much is just…well, too much. Because of my career choices (and because it became quite fun), I found myself spending tons of time on Facebook daily. Although I have the application on my phone AND receive text and email notifications, I would always have at least one tab open in FireFox with something from Facebook. But lately that has changed and here’s why. I’m busier with other aspects of my career. I offer a good portion of support surrounding my work via Facebook. There is also much more to it than Facebook support. Once I answer what is necessary there, I simply have to go away to get other things done, such as answering emails, writing articles, writing reports, publishing, editing, and so much more. Sometimes that means I can’t answer my friends right away. But I will always answer eventually. I’m spending more time with family. Summer break is over and my younger kids are back in school (the older ones are in homeschool). That means that when I pick them up from school in the afternoon, once I’m finished with my work, they want my attention. They haven’t seen me all day. Therefore, they want and deserve my attention. I love my family and friends on Facebook too and I do my best to keep up with everyone. But as any parent knows, the kids must come first. I’m a single mommy as well, which adds to their need for me to be there. I’m doing more things that keep me away from Facebook. Blogging is one of the things I like to do that keeps me away from Facebook. You may get an indicator that I’m online and think I’m available to talk. But really, I’m probably in another tab on FireFox posting to my blogs. Or maybe I locked the computer screen instead of turning it off and I’m actually gone walking the dogs on the trail. I’m a busy person, both in work and play. While I do have Facebook installed on my phone, it isn’t always appropriate to check it, depending on what I’m doing. For instance, if I’m cuddling up to someone I love while watching a scary or suspenseful movie, I’m sorry, but I’m not checking Facebook. My phone is probably on silent in the other room with the screen locked and I probably won’t see it for a while. I’ve organized my notifications to prioritize work and family. Another thing I’ve done on Facebook is create lists, as well as organize my notifications in various ways. This means, I look at things related to work and family first. Then, I answer other things, based on time, as well as urgency. Sometimes I even miss things because I get thousands of notifications daily. Also, if you message me and I’m not your friend on Facebook, your messages are likely not going to show up in my regular inbox. They’ll probably be in my “Other’ inbox, which I don’t check as often because honestly, sometimes I forget about it. I have strict filtering activated on Facebook, due to spam issues. I just don’t have the time. I know that many of my Facebook friends are used to me responding as soon as they send messages, tag me, or leave a post on my wall. But the thing is, it has gotten to a point where there are just so many that I can no longer do that every time and still have time for everything else going on in my life. There was a point where I couldn’t stand to leave anything unanswered longer than a couple minutes. Now, it can sometimes take a couple days or more for me to reply to a message. There are just so many of them and so many other things going on in my life that I just don’t have the time anymore to spend so much time on Facebook. Nowadays, aside from career-related support and tasks and conversing with my closest family and friends, I haven’t been doing much on Facebook. Although, I usually do come in at random times and meme-bomb my wall. I’ll look in my favorite lists I’ve created from various pages rather than the regular newsfeed and I’ll post a bunch of memes in a row and then leave. Hey, I can’t help it! They’re funny! Facebook is supposed to be fun! People often ask me how in the heck I get so much done in each day. I'm a single work-at-home mom of four. My careers include writer, online community advocate, website owner and designer, social media manager, and so much more all rolled into one. Did I make you tired yet? It's really all about figuring out how to divide things up, as well as keep the peace. We're all a little crazy in our own ways. But here's how I get things done without losing my remaining marbles. Sometimes just having split screens isn't quite enough. I often have many things open at once, due to the fact that I do so much at one time. If I'm working on gathering research or data, I may open several tabs in Firefox on one computer and several office documents on the other. Though these could all be on one computer, I find it quicker – and less taxing on each system – to type up my reports or articles on a separate computer than my research. This is so that I don't have to switch between docs and the internet browser. While this is not by far the only way it comes in handy, it sets a good example for the possibilities. I've used as many as four computers at once to get the job done. I most often use two or three. At least once per hour I get up and clean something in my home, do a yoga pose or two, meditate, or run around the house and wrestle with the dogs. One thing working at home on a computer all day can do is wreak havoc on your body. But it doesn't have to. That's why I make sure to get up and move around once or more each hour. I also listen to music while I'm working. So if it's the right beat, I will sort of dance in my chair moving to the beat while typing. Yes, I also sing while I write. But that's another topic for another time. Bonus: All of this movement helps focus the mind to get the work done. Because I am the ultimate multitasker, exercise is more likely to get done by squeezing it in this way. It's also been more effective for me than when I did longer workouts. I still take long walks with the dogs at certain times. But this helps keep me active during the rest of the day. Yeah, yeah, I know what they say. But since when have I been one to listen to what “they” say, whoever they may be? I don't follow the crowd. Never have. I'm proud to call many of my readers and fellow writers my friends. They are one of the big reasons I do what I do and they get me through the day. In this accidental strategy, I've also experienced how readers like to relate. They like to know there's a real person behind the content and my personal style of writing gives them what they are seeking. So, not only does having fun with my audience help me get through my day. I believe it also helps me to succeed. They can tell I really do enjoy them and what I am doing. I also make myself templates that I use for each venue and/or type of piece I write. Sometimes I forget about a template and go with the flow. But the templates really help me keep organized and get things done quickly. If I make these ahead of time, it helps reduce time, as well as stress. My templates are sometimes simple, including a space to put a title, subheaders, and other text. Other times, they actually include the title, subheader points, and a spot for the text. My template also includes a place for my tags and referral link. You can see examples in Quick Web Writing Tips: Make an Easy Outline to Speed Productivity. Comments from readers can make a person laugh, cry, or even stare off into confusion. Readers can do anything from asking genuine questions to trolling posts and leaving comments to get a purposeful rise out of the author or other readers. Should web writers answer reader comments? I've written on this topic before but it's been a while and is a good time for a refresher course, as well as some new information. Is responding to your readers allowed? Depending on where you are doing your web writing, responding to readers may not be allowed. If you are writing for a website or blog other than your own, be sure to know the terms and what is and isn't allowed. Some venues encourage commentary between authors and readers, while others prefer that only the readers do the commenting. Before you lay your fingers on that keyboard to draft a response, consider whether the commentary left is genuine or not. Does the reader appear to be truly curious about the subject or does something seem off? Sometimes readers may leave comments meant to reel you in, so to speak. Consider the motive behind the comment before deciding about responding to it. Is your response reactionary or truthful? Are you just responding a certain way in a moment of frustration or passion or are you being completely truthful? Be genuine and true if you are going to respond to your readers. If you can't be truthful, there's no sense in engaging readers via the comment section. Sometimes what you want to say at first may not be totally in line with the way you truly feel after some thinking. Some comments don't really need a response and many times you'll find that your readers will come along and defend you if the comments seem to call for it. You won't have to say anything because they will do that for you. Of course, I am one who really doesn't care what people think of me, so I generally don't feel the need to be defensive anyway. Don't waste your time typing up a response that isn't going to benefit your readership in some way. If your reader is asking about lizard care, there's no point in answering questions about your college degree, unless you graduated from some lizard specialty school and it's relevant to the questions at hand. A helpful comment section will include questions and information that adds to what is available within the article itself. Is your response helpful or hurtful to your desired image? Is the language and context you present in your commentary what you want to present to readers and potential clients? I personally am my true self no matter where I am. Therefore, I don't worry about this one too much. I know that I am not going to say anything that I wouldn't say in front of anyone, including business contacts. But if you know that you don't have the same awareness and control, be sure to examine what you are posting before hitting that comment button. Some people may find it helpful to type up potential comments in a document and read it aloud before posting. At the end of the day, if you are truly comfortable with what you are posting and it is acceptable to the venue, readers do appreciate interacting with writers. Therefore, if done correctly according to your personal standards, this could actually boost your career. I originally published this elsewhere (no longer published there). Try doing a Yahoo search on anything related to freelance writing jobs and you’ll pull up a multitude of opportunities, many of them scams. The simplest way to tell if one’s a scam is that it usually starts with “make easy money” just like any other scam. While it’s true that some aspects of a freelance writing career will become easy to an experienced writer over time, freelance writing as a whole is NOT an easy full time career path. But it’s worth it. As a full time freelance writer, I used to spend countless sleepless nights thinking, researching, and typing out the results endlessly. Wait, “used to”? If I’m no longer a full time freelance writer, what do I know? The thing is, I spent years as a full time freelance writer and I slowed down, not because of the lack of money or interest, but because I wanted to help other freelance writers. That’s right. Now my full time job is helping others do what I did. But I still write almost full time as well. Therefore, I assure you, you can trust my experience. Some people think “Oh, I can write. My poems from high school are great. I should be a writer.” And if that’s you, writing might be a good career choice for you. But just keep in mind that writing for the web and writing a poem here and there are two entirely different things. Freelance writing as a full time career path will involve writing for a considerable amount of time most days. Decide which you REALLY want to do and do that. Writing for the web as a full time freelance writer is hard work. Yes, work. Forget all those scammers out there telling you it’s easy. Yes, it’s easy for them at first because they’re copying and pasting the text that I (or another talented writer) put real time and heart into in order to create it. But it no longer becomes easy for them when we decide to pursue it legally. Ah yes, there’s another thing about freelance writing. You’re not JUST a writer. You’re a writer, researcher, marketer, CEO, manager, self-appointed attorney, and many other things. The first part – the actual writing – may come easy to you sometimes and maybe even most of the time. But there will be days when you may not be able to form a complete sentence no matter how many deadlines you’re facing or how much money is on the line. Even for writers who seem to just sprout creative words in an instant, writing all day every day can become difficult. And you WILL need to write very often (among other things) in order to make the most money at web writing. I know what you’re thinking because it’s me as well. I definitely said it too. You’re saying “but I love writing. I already write all day long, nonstop. I can do this.” If so, then you probably can, just like me. However, keep in mind that even you will likely have days where you just can’t. Also keep in mind that everything you write, though it may come from your heart, is for someone else. And, while you are in charge of yourself, you do still have to actually work. Otherwise, what are you getting paid for? Up until this point, I may have turned some people off already because it sounds like a big complaint. But heck no! I love what I do and wouldn’t trade it for the world. The thing is, if you’re going to be in the business, someone needs to tell you the real facts. Yes, I can spend more time with my kids (human and fur variety). Yes, I make a fairly decent income when I’m consistent with it. But it does take real work and effort and if you can’t commit to that, this is NOT the career for you because if you stop working, the money stops coming. For me, the benefits of staying home with my kids, the satisfaction of knowing my words may help people, being able to finally start saving some money, and some of the other things directly related to being a freelance writer are worth the hard work. It’s not easy, but it’s worth it. No offense meant to the writers this applies to. But I have been doing this a long time and am a natural observer. I've noticed that oftentimes the writers who have the most interaction from readers are those that update their profiles, especially photos. I mean, who wants to look at the same picture for years, no matter how good looking it might be? When you update your profile photo often, it shows that you are active and it also gives readers something fresh to look at. Think of your profile photo just as you would your written content. Random browsers may find an older photo or piece of content interesting. But those faithful followers need something new to look at or they might wander somewhere else more interesting. Yes, most of what readers will be focused on is the written content. However, it does help when the author photo is shiny and interesting. People on the interwebs like shiny things. It's a given -- and new shinies appear often. How often do you update your profile photo? Have you observed the same things I have? Tell us about your experiences in the comment section. Are you wondering why clients never order your writing services again? Is your content good but you just aren't getting repeat business from the same people? Maybe getting those second orders is easier than you think. As a writer with a proven track record of repeat clients, I'll share with you the details some of my clients appreciate. Pay attention to word count. If your client says 500 words, don't give them 498 or 564. Give them 500 words. Word count is one of the number one things clients complain to me that other writers get wrong. If the client gives you a range, stay within that range. If they give you one number, give them exactly that number. If your office program doesn't have the function built in, use a free word count tool. The purpose of ordering writing services from an outside party is to save time. If your client has to edit your words down or add more words, you haven't completely done what they needed you to do. Follow instructions exactly. Unless the client mentions that you can be flexible, adhere to the directions they give you. Save the extreme creativity for your own blog or site. When someone hires you to do something a certain way, that is what you should do. It is acceptable to give a client advice and explain why you feel it might be better a certain way. But if they disagree, follow their instructions or pass the gig on to someone else who will. One of the things I get complimented on the most from clients is that I always give them exactly what they asked for. It's not that hard to do. If you don't understand what a client wants from initial directions, ask them questions. Trust me, they will appreciate your effort. Turn the work in on time every time. If a client needs something by a certain date, make sure you can do it by then before accepting the gig. Writing is not a service that many people can just do randomly at the last minute. If you fail to complete it on time and they need to find someone else who can do it, it makes things more difficult. If they decide to stick with you, even with your tardiness, they may not be pleased whether they say so or not. They'll just use another writer next time. Everyone has emergencies and most clients understand that sort of thing. But making a habit of turning assignments in late will hurt your chances of getting a repeat order. Proofread -- more than once or twice. By hiring a professional writer (you), your client is trusting that the finished product will be publish-ready. 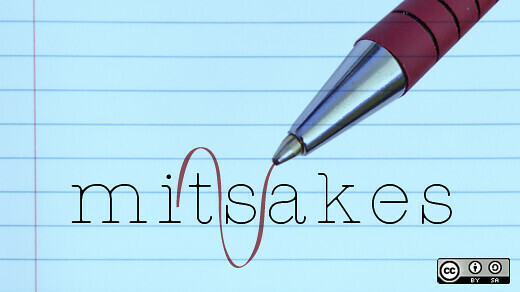 If you fail to check your work for mistakes, you'll likely miss important grammar and spelling issues. This is not indicative of professional work. Always use grammar and spelling checkers for the first check. I also suggest reading your content through aloud, then backward, then taking a break and going over it again one paragraph at a time. Copy and paste each paragraph one at a time by itself to check it. Then, reread it again a couple times as a complete piece. If you have to make any edits, repeat the whole process again. Sometimes edits can create other mistakes you didn't think about. If possible, I suggest also utilizing a writing buddy. *Disclosure: The blogger received compensation for mentioning some products or services in this post. Why would online article writers need a website if many article submission sites allow a professional profile? This is a question I get asked often when I mention the idea. Learn some of the many reasons all freelance web writers need a website of their own. When applying for online writing jobs and gigs, reference links and/or a resume are often required. This will be much simpler for those with a website. Some may create an area where a client can download their resume by requesting the link. Others may post links to samples. Yet others may do both or handle it another way. Online article writers need a website in order to reference their work all in one place. Professionalism is key, even though you don't see your clients face-to-face when writing online. A freelance writer's website is like a virtual resume, meeting place, and office at the same time. This is where you can let your clientele know you are professional by including all of the right things. A bio, samples, and a contact page are just a few. Read "8 Musts on a Freelance Writer's Website" for more details on those and other must-include items for professionalism. Even if a client finds your work elsewhere, they may want to know more than they can find in a limited bio attached to your profile on a content site. This is where your website comes in handy. Many content sites allow article writers to place a link to their website in their profile or bio. Also, be sure to link to it from any blogs or other profiles you have. Giving clients (both potential and current) a place to find more information about you as a person and as a writer is very beneficial to them as well as to your writing career. If you have any big writing projects, off days, exciting news, etc it can be posted to your website. Of course you don't want to announce information that is too personal, but a web writer's website can serve as a great way to spread the word. Doing this has many benefits. Some include letting clients see that you are accomplishing things, engaging with your audience, and also depending on the announcement it might bring in more readers or clientele. Depending on how much bandwidth your site allows, this can be a great place to store certain files. Of course you still need a hard copy backup, but storing them in a secure, hidden location on your website can help you keep everything related to your online article writing all in one spot. This also can free up space on your computer if you'd rather not have the files there. Just be sure, as mentioned above to keep a hard copy if you go this route. Do you have non-exclusive writing lying around collecting dust? If you write for a living, chances are that not everything you submit or publish is exclusive to one party. What are you doing with the work that you still hold publishing rights to? If you answered "Nothing" you are not making the most of your work. What are reprints? Put simply, reprints are pieces that have been previously published but can be published again. If you submit your work to someone non-exclusively, you still have publication rights. Always read the fine print everywhere that you publish your work to be sure who has the rights. Just because you still hold the copyright, does not always mean you still hold publication rights. Once you have determined that you do hold publication rights, there are several ways you can offer reprints. Get them published with online venues that accept non-exclusive content and customize the content to each venue. Have a reprints page ﻿﻿ on your website or offer it on your regular services page. Republish them on your own website to draw traffic to your services and/or advertisements. Get them published in print publications that accept non-exclusive work, again customizing to fit the venue. You spend hours on a submission perfecting every little detail when along comes an editor to mess with your masterpiece. If you're going to make it as a writer, you will have to work with editors. A necessary part of the publishing process involves dealing with editors. Learn to compromise. Editors can and often do change things. That's what they're there for. They catch the little mistakes we make (and we all make mistakes). They also may make changes that are better for structure, your audience, the web, and more. Though you may not always agree with their changes, you will have to deal with many of them. Depending on the publication, you may be able to form a compromise with the editor. Let it go. That may be easier said than done in many cases. As writers, we see our writings as our little babies, if you will. We work hard on it and it means so much to us. Altering it can feel like someone is trying to change us. After all, it does have our names on it. But at some point, we have to learn to let it go. If the work never bypasses an editor, it may never get out in front of the audience. Try not to get too attached and let the work go once its complete. What's the change? Instead of becoming to attached to the way the piece is written, focus on the message. If the edits do not take away the message, don't be so hard on the editor. It's perfectly fine to address the editor if you feel that the changes are unsatisfactory or take away from the message. But if the change is nothing that takes away the message, why waste all that energy getting upset? Write another article. Report the editor. This is only for extreme cases. I say that because as a writer, you will need to learn to deal with the fact that your writing will be changed by editors if you want it published with major companies. If the editor really is making changes that are unreasonable (and not just changes you don't like - changes that affect the quality of the work significantly), that's when you report the editor. I advise not taking this route unless necessary because a writer and editor need to be able to work together peacefully. But obviously, if there is an injustice it should be reported. Switch venues. If you just cannot deal with a particular editor, write somewhere else. Ultimately, you should be happy with your writing (or any) career. If that's not happening, you haven't found the right venue/s to write for yet. Realize you should not be switching venues every time you don't like what an editor does. But if there is a true problem, remember that you can move on. Write for yourself. If you truly cannot deal with anyone at all messing with your own work, only wrote for yourself. When someone is paying you to produce work, it should be what they want, hence part of the reason for the editors. If you create your own venue, such as your own website or blog, you make the rules. Even if you go this route it can still be a wise move to have an editor or at least a writing buddy that is willing to be a second pair of eyes. But you'll have the most freedom when writing for yourself. Bottom line: Editors are a part of the writing and publishing business and writers need to be able to adapt to that fact. Work with (not against) your editor, unless you have a legitimate claim against them.